Sometimes glitz, glamor, functionality and more, all come together to boost a favor’s wow factor through the roof. 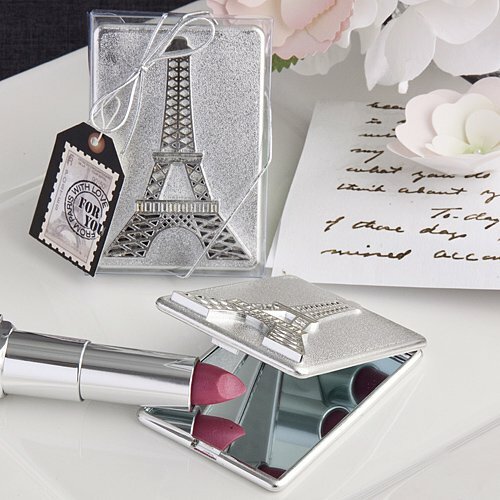 And, that’s exactly what happened when Fashioncraft designed this chic Paris themed mirror compact. It’s ultra handy and has style galore mixed with Eiffel Tower allure - who could ask for more?